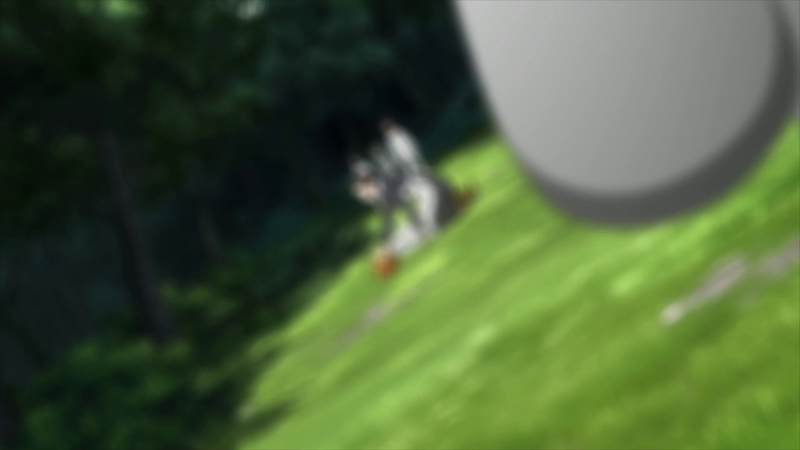 The ninth episode of The Promised Neverland opens with the shot above — reminiscent of a triptych painting that can be folded in three. 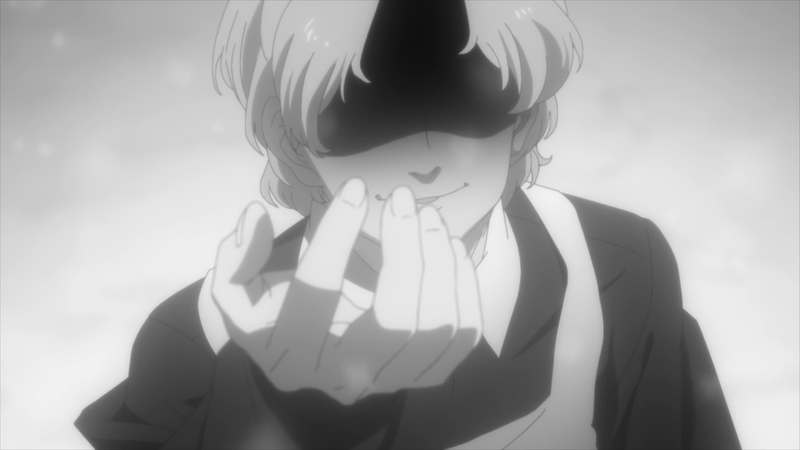 With this frame, episode director and storyboarder Hiroki Itai immediately grounds the episode and all events that follow. After a surreal eighth episode that set us off-balance with dutch angles, a spinning camera, and cuts that chop up two concurrent scenes, presenting them as a unit, paneling and more straightforward direction centers Episode 9. This episode stands alone with it’s visual strength, but also builds on what came before it with an ever-evolving in-universe camera. 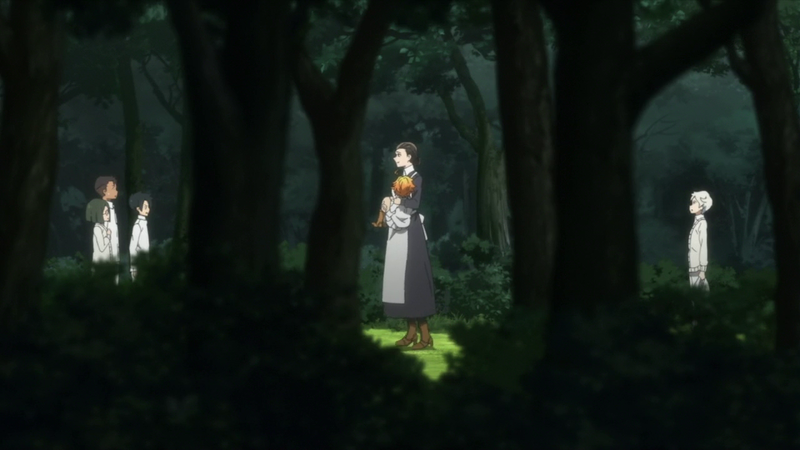 The largest mystery of The Promised Neverland was solved once Emma and Norman learned the true nature of Grace Field House in the first episode, informing the viewing audience by extension. Once the mystery is solved, the story is driven by thrills and suspense — dozens of smaller mysteries and hints at an unknown outside world while characters are pitted against each other, forced to assume or approximate how much, or little, they know. These gaps of information force the characters and the audience to assume or guess as to who knows what. In these gaps, The Promised Neverland shines. Minute details — even the in-universe flowers unique to this series — can be mined for information as can certain framing choices and lighting. This series is specific and directed in what it wants us to notice. 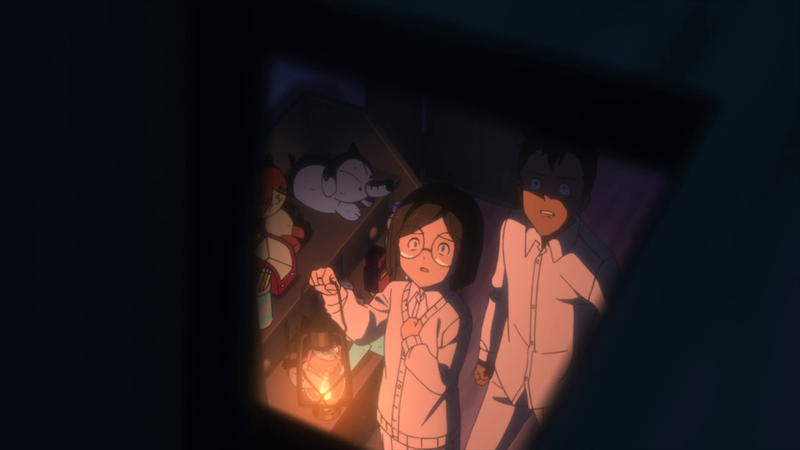 Not everything is important but, like Emma, Norman, and even Ray, we don’t know the importance of certain facts or items and can be drawn towards things that aren’t as important through manipulation from Mom Isabella, Krone, or the series’ camera respectively. Keeping all of this in mind, the series also gives us Phil. 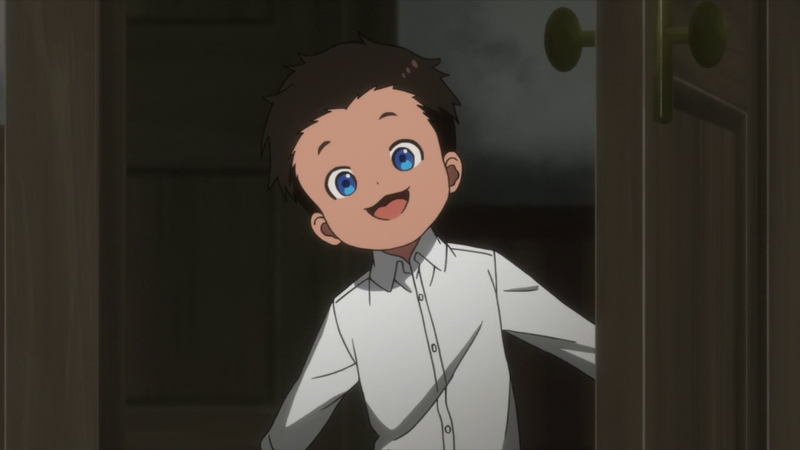 Just when I thought The Promised Neverland would run out of visual tricks to make conversations in various rooms of Grace Field House all the more intense, the series adds another layer of depth while heightening the emotions of all involved.